I got started on a new project today. 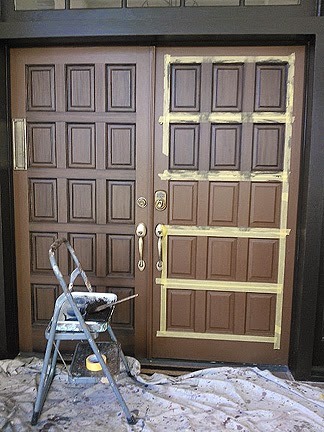 I am painting a double front door, each door has 15 small panels. The deal with the door is that it is still in good shape as far as the wood and integrity of it but it is still pretty old and has been painted several times. 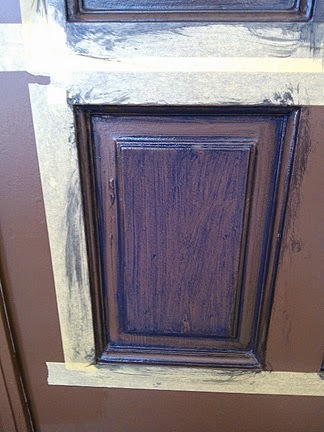 So the thought was instead of stripping off all the paint and starting over just paint over it again in such a way that the look of the door will not be compromised by the older and somewhat aged and used look it currently had. 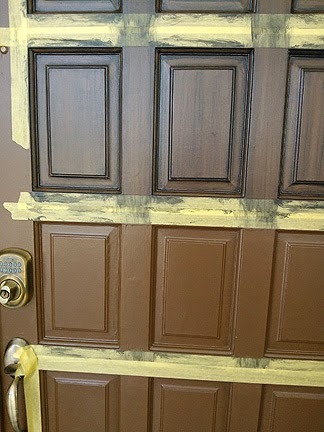 So the door was painted from a green color to a brown color and then I brushed black over it and wiped it back. The finished look gives the door a much richer look which also blends in the aged aspects of it. You can see how I have started on the panels first. 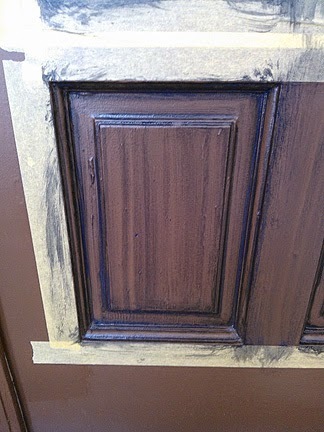 So for each panel I paint the black in around the perimeter and then wipe it back. Then I paint in over the center of the panel. Then I wipe that back. I should finish this job tomorrow. I am replacing the hardware also. 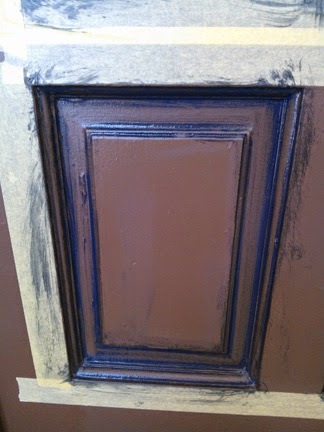 The homeowner is going to apply clavos (rustic decorative nails) in the center of each panel after it is all painted.